DNA (Dioxyribo Nucleic Acid) is an essential part of all living organisms because DNA is the repository of genetic information, it can be said that DNA is the recipe, schematics, systematics, manuals, maps, blueprints, designs, and unique biological information from living. Just like any existing building blueprints respectively. The inventor of DNA were James Watson and Francis Crick. 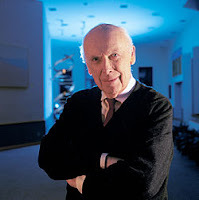 James Dewey Watson one of the discoverers of DNA were born in the Chicago area, Illinois on April 6, 1928. She is the only child of James D. Watson, a businessman, and Jean Mitchell. The whole young childhood Watson spent in Chicago where he was for eight years at Horace Mann Grammar school and for two years at South Shore High School. He then received a scholarship to go to college to the University of Chicago, and in the summer of 1943 they did the experiment for four years of college. In 1947, he received his B.Sc. in the field of Zoology. His attention in childhood bird leads him to seriously learn about genetics. In 1950 he was awarded a Fellowship for graduate study Zoology at Indiana University in Bloomington, where she earned her Ph.D. in the field of Zoology. While in Indiana, he was greatly influenced by the concept of genetics HJ Muller and TM Sonneborn, also SE Luria, an Italian-born microbiologist who worked as a staff at the Indiana Department of Bacteriology. Watson's thesis prepared under the guidance of Luria, research on the effects of X-rays on bacteriophage cleavage. From September 1950 until September 1951 he spent his first postdoctoral year in Copenhagen as a Merck Fellow of the National Research Council. That year he spent with the biochemist Herman Kalckar, also a microbiologist Ole Maaløe. Once again he worked with bacterial viruses, attempting to study the DNA of the virus particles. During the spring of 1951, he went with Kalckar to the Zoological Station in Naples. There at the end of the Symposium in May. He met Maurice Wilkins and saw for the first time X-ray diffraction pattern of crystalline DNA. It is very encouraging him to change the direction of his research on the chemical structure of nucleic acids and proteins. Step in to be possible when Luria, in early August 1951, in collaboration with John Kendrew help Watson conducted research at the Cavendish Laboratory, where she began working in early October 1951. When meeting Crick, they found the desire to solve the structure of DNA similarities. Their first serious attempt made in late autumn 1951, with unsatisfactory results. 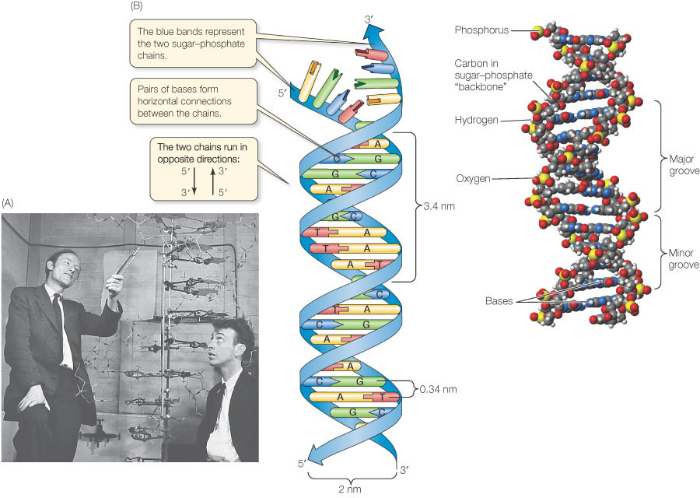 Their second effort at the beginning of March 1953 more based on experimental evidence and better appreciation of literature nucleic acids, and it is written in the proposal of complementary double-helical configuration. At the same time, he conducted experiments to investigate the structure of TMV (tobbacco Mozaic Virus), using the technique of X-rays diffracted. The goal was to see if the chemical sub-units previously disclosed by the elegant experiments Schramm, indeed form a regular spiral. This objective is achieved by the end of June 1952, while using a tube rotating anode X-ray that allows a convincing demonstration of the formation of a helical virus. From 1953 to 1955, Watson was at the California Institute of Technology as a Senior Research Fellow in the field of Biology. There he worked closely with Alexander Rich in X-ray diffraction study of the RNA. 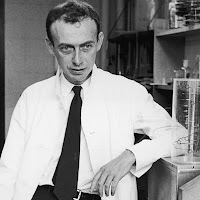 In 1955-1956 he returned to Cavendish, worked with Crick. During working together they published several papers on the general principles of virus construction. Since the fall of 1956, he has been a member of the Biology Department at Harvard. First as an Assistant Professor, in 1958 as Associate Professor, and a Professor since 1961. During this time, he did a major study on the role of RNA in protein synthesis. Among his collaborators during this period was the Swiss biochemist, biochemist Alfred Tissieres and France, François Gros. Much experimental evidence supports the concept of messenger RNA (Arnd / ARNm) had collected. The main collaborators is a theoretical physicist Walter Gilbert, which makes Watson excited to learn about the experiment in the field of molecular biology. Over the life of Watson was not married. On October 25, 2007 James Watson resigned from his position as head of the Cold Spring Harbor Laboratory. This was triggered by remarks deemed racist or eugenic, associated with inability African nations to improve their lives and those blacks who considered incompetent. His statement, a number of academic institutions in the UK to cancel an invitation to him to speak in public and institutions that led to her suspension wear. In previous years, he has also been claimed that a mother should be allowed an abortion if the unborn child is known to bring homosexual gene. He had also said there was the possibility of a link between skin color and "sexual lust" (Sexual Prowess), and between height and ambition. Another controversial statement is that ignorance (stupidity) is a genetic disease that should be treated medically.